If you read my post last week on simple and inexpensive Halloween party tips, then you know I love having the coloring of food work for me. Meaning, when it comes to Halloween foods this time of year, I'm on the lookout for any food that already comes in orange, black, or white. That way, it doesn't take much effort to make the food look festive. 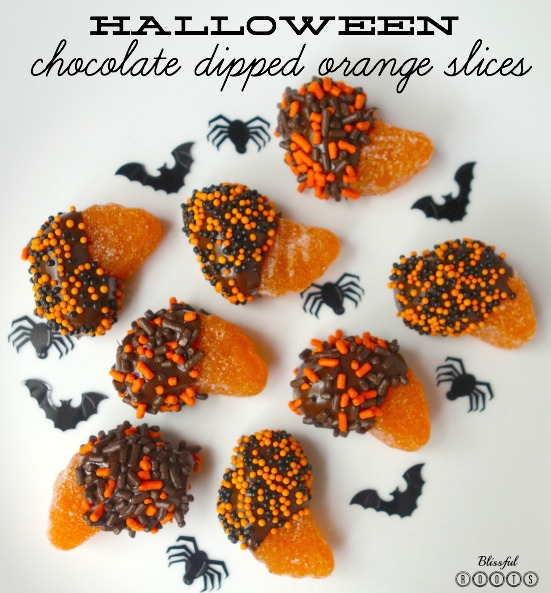 I posted these chocolate dipped orange slices a few years back at Christmastime because that's when my family has always made them. 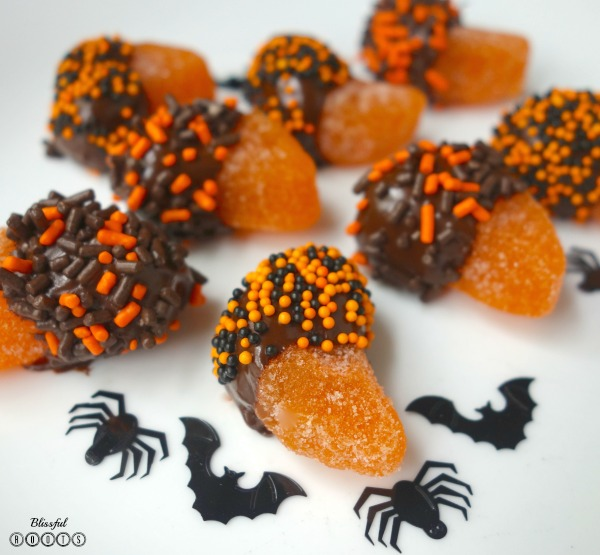 It never occurred to me that they would make the perfect Halloween treat, until this year. You can click here for the how to, but it's really as simple as it looks. 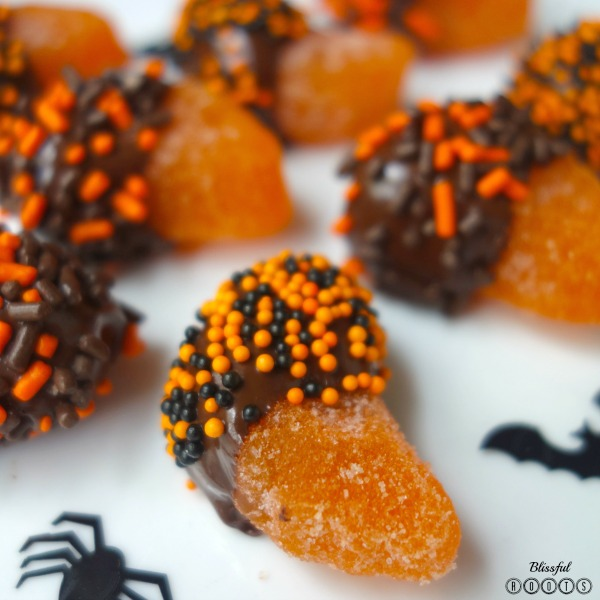 Melt some chocolate chips (in the microwave for 30 second intervals, stirring in between), dip your orange slices halfway into the chocolate, then top with Halloween sprinkles. When I posted these treats at Christmas, I'd used milk chocolate chips. To get a darker Halloween color I used semi sweet chocolate chips this time, and I have to say I love them both! I do like the darker color of chocolate for this time of year, but the sprinkles do cover a lot of the chocolate if you're more of a milk chocolate fan. I made these with my four-year-old, and he couldn't stop eating them, but neither could I! YUM! Jailbreak ios 11 is a tool which is released by electra jailbreak team and it is successfully working with cydia installation. تخلص من إزعاج النمل الأبيض وتخلص من مشاكله ليتم التقليل من الأضرار التي يسببها وتعامل مع مؤسسة الصالحية بيرم، فشركة الصالحية بيرم سوف تساعدك على التخلص من النمل الأبيض والحصول على بيت خالي من الحشرات المؤذية.